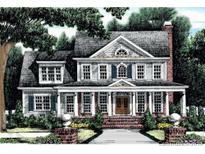 Find Albemarle, NC New Homes for sale. View Photos, Maps and MLS Data Now! New construction, with anticipated completion date of 3/22. 1-car attached garage. MLS#3481376. Rocket Homes Real Estate LLC. 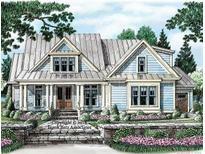 Grandview - PLan highlights include private study, bright and open great room, and second floor game room! All at under $100/SF! MLS#3478883. TLS Realty LLC. Park West - Also has a 2 car attached garage, front porch and private back yard. MLS#3471082. Clickit Realty. Contact listing agent for any questions. MLS#3470277. United Country RE-The McLemore Group. Contact listing agent for any questions. MLS#3470255. United Country RE-The McLemore Group. Park West - No negotiation necessary. Lowest price guaranteed. MLS#3366535. Wade Jurney Homes. Park West - No negotiation necessary. Lowest price guaranteed. MLS#3363974. Wade Jurney Homes. Park West - Please note that the photos are of a similar home and may not be an exact representation of the home being built as products and specifications may be changed. MLS#3363940. Wade Jurney Homes. Park West - No negotiation necessary. Lowest price guaranteed. MLS#3363927. Wade Jurney Homes. Park West - No negotiation necessary. Lowest price guaranteed. MLS#3363963. Wade Jurney Homes.